The HP Latex 330 allows you to have the best of both water-based and solvent inks, as the latex inks produce odourless prints, are low-maintenance and have health increased advantages. Even eco-solvent inks cannot beat the water-based latex inks used by the 330. This allows you to print for indoor locations you could not previously with your solvent printer, such as healthcare facilities. Durable outdoor prints are also possible, as the HP Latex inks are as scratch-resistant as hard-solvent inks on PVC banners. Unlaminated signage can last up to three years outdoors, whereas limited products last as long as five years. Even at the maximum printing speed of 50m²/hr (538ft²/hr), the 330 can print and cure using less energy and at a lower temperatures than older latex printers. When your prints come out of the machine, they’ll be completely dry, allowing you to deliver them straight away, thus speeding up turnaround times. 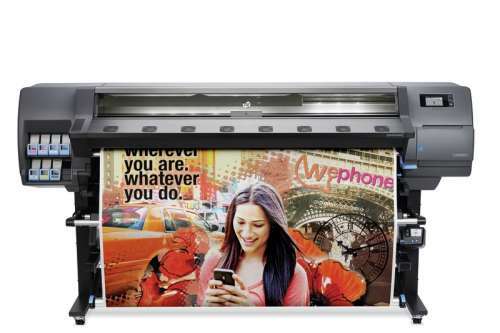 The HP Latex 330 is a great choice for print service providers looking for a way to create long-lasting banners for use in both indoor and outdoor environments. 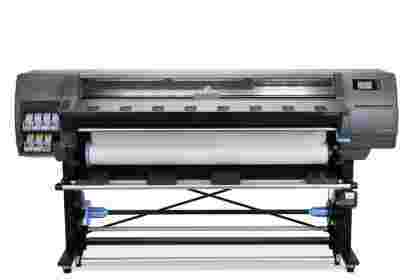 Busy companies with long order lists will benefit massively from unmatched production speeds of 50m2 per hour, while low-maintenance printing will ensure small teams are never stretched beyond capacity. Unlike many of its peers and predecessors, the HP Latex 330 doesn’t require any special ventilation, meaning it’s possible to position it pretty much anywhere without odours or the threat of overheating causing any problems – ideal for small studios and office spaces. 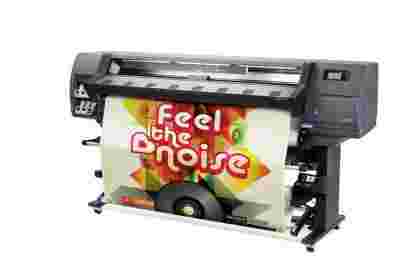 Last but not least, an intuitive 4” touchscreen allows users to finely tune their prints for the best possible results. With the ability to save different profiles containing all of the specifics, the Latex 330 is perfect for firms with diverse product ranges. To ensure the 330 printer is right for your business, we recommend that you try it for free through our month-long trial. You have no obligation to buy, and we’ll come and set up the printer for you at your place of work.